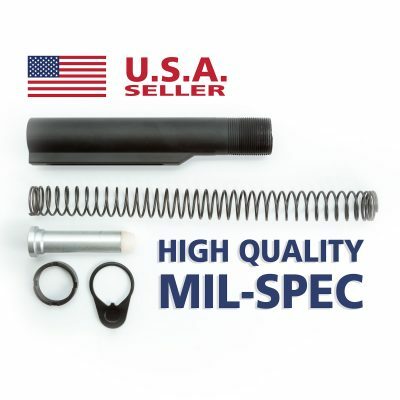 Our Mil-Spec buffer tube kit for completing your next AR-15 build. Our complete buffer tube kit for completing your next build. 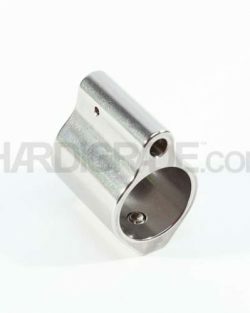 It includes a standard mil-spec buffer tube, 3.0 oz buffer, buffer spring, receiver plate, and castle nut. 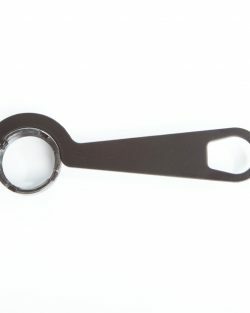 To install it, all you need is a castle nut wrench. The 5 minute installation video below shows how to install a receiver plate, but you can follow it to know how to install this buffer tube. This kit includes all high-quality parts that get shipped SAME DAY*. Made with high quality steel, this mil spec buffer tube kit fits snugly because of its tight tolerances. If you are not completely satisfied with your order, contact us and we will make it right. We make every effort to ship the same day *(before 3:30pm CST).